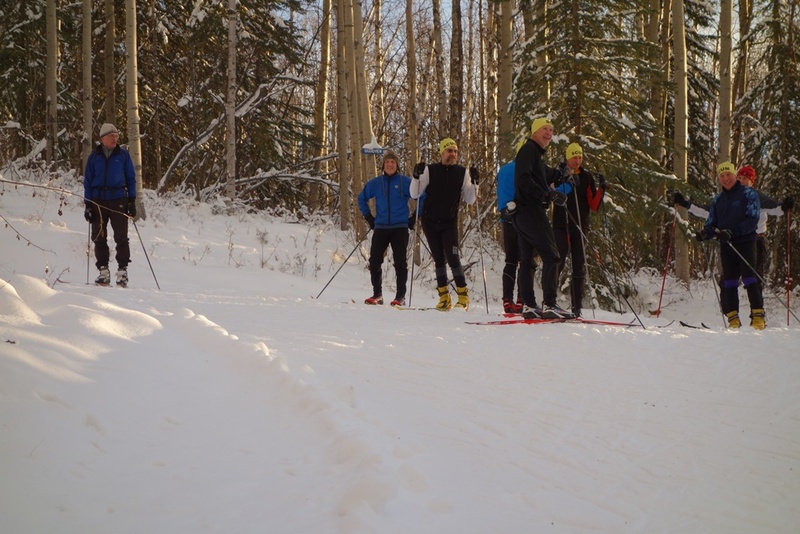 The day after the Buetow Dental Distance Race #1, a 7.5 and 15 km mass start test of Fairbanks Nordic skiers’ fitness, was 20 deg warmer so perfect for a slow recovery ski around the Birch Hill Recreation Area trails. Enjoy the trails. Thanks to countless hours of volunteer efforts and donations from trail users, we have wonderful groomed trails to enjoy for 6 or more months. Please do your part. This entry was posted in Sonot Kkaazoot race organizers, Training Ideas and tagged Birch Hill Recreation Area, Buetow Dental Distance Race, trail grooming, volunteers by Sonot Kkaazoot. Bookmark the permalink.